The liver is a critical organ that is required to store excess nutrients, manufacture blood proteins, get rid of toxic substances, store blood glucose and produce cholesterol. Cirrhosis is a serious condition of the liver when healthy tissue gets replaced by scarred tissue, therefore, preventing the normal functioning of this organ. More than 30,000 people die of this disease on a yearly basis in US. Alcohol abuse, hepatitis C and fatty liver are some of the causes for liver cirrhosis. Some symptoms of liver cirrhosis include loss of appetite and energy, weight loss, bruises, itchy and yellowing skin, yellowing of whites in the eyes called jaundice, sudden weight gain, fever, personality changes, confusion, changing color of urine and stools. It is diagnosed through blood and other tests, physical exam or biopsy. Treatment options depend on the symptoms and causes. If alcohol is the cause, then stop drinking. For hepatitis, antiviral drugs or steroids maybe prescribed. Liver transplant is the last resort for severe cirrhosis. So how can turmeric help here? The answer again lies in curcumin which is the active ingredient in turmeric is a powerful antioxidant and anti-inflammatory. Turmeric is an herbaceous plant belonging to the ginger family. It is a chief ingredient in almost all Indian dishes. Found primarily in South Asia, it has been used for centuries in Ayurvedic and Chinese medicine. An added bonus is the spicy flavor it imparts to food. This must be the reason it is often referred to as ‘The Golden Spice’. The yellow compound curcumin can be derived from the plant extract of turmeric. This compound is a blessing to the medical field and has proved its worth in the treatment of a variety of diseases irrespective of type and origin. The compound displays a pain relieving and anti-oxidant effect on body cells. Oxidative stress is a toxic condition which arises in the body when the levels of harmful free radicles reach such a high value that antioxidant compounds which are responsible for eliminating them from the body cannot compete with them i.e. free radicle build up surpasses their antioxidant mediated elimination. Curcumin present in turmeric is known to alleviate oxidative stress condition. This was validated by Reyes-Gordillo K et al through their experiment on an animal model. Through the administration of curcumin and subsequent tissue analysis, they observe the marked reduction of several oxidative stress and metabolic markers of liver damage. In particular, the levels of transforming growth factor-beta (TGF-beta) mRNA and proteins were monitored. This is a key factor in the onset of cirrhosis so its lower levels are indicative of curcumin’s ability to reverse the effects of the disorder. Curcumin improves oxidative stress condition and reverses liver damage by monitoring TGF-beta levels. This makes it a useful therapeutic agent for cirrhosis treatment. Cirrhosis sometimes occurs when an individual is genetically predisposed to the condition. 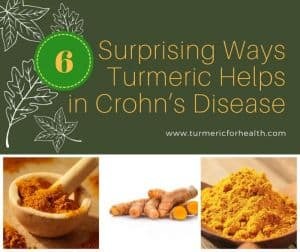 Curcumin has the potential to delay or prevent the onset of this disease completely. In order to further understand this mechanism, the preventive effects of curcumin on the liver-damaging chemical thioacetamide were studied in an animal model. The study published in The Liver International Journal elaborated that the compound was able to moderate genetic signals and oxidative stress levels in the liver and therefore protect the organ from damage. It inhibited cirrhosis related mRNA expression. Curcumin bears clinical applications for cirrhosis as it has been successfully proven to reduce oxidative stress and control genetic signals related to liver damage expression. Cirrhosis is often characterized by inflammation induced pain. This is linked to the activation of hepatic stellate cells (HSC). Inflammatory status is also worsened by high levels of certain compounds like serum aspartate aminotransferase, alanine aminotransferase, and alkaline phosphatase. Fu Y and his colleagues studied the effects of administering curcumin to the damaged liver in an animal model. The observed that the compound significantly suppresses inflammation and inactivates Hepatic Stellate Cells. Levels of inflammatory markers such as the chemicals mentioned above also surprisingly reduced. This was validated through several biochemical tests on the damaged tissue sites. Curcumin can lower inflammation through obstructing several pathways. It lowers inflammatory enzymes and inactivates Hepatic Stellate Cells thereby reducing inflammation and the pain associated with it. As we have mentioned before, cirrhosis expression is very much dependent on genetic interactions. Compounds such as TGF-beta and HSC promote liver damage and help activate the related mRNA and proteins. However, curcumin provides a solution to this problem. It is closely linked to increasing levels of another important gene, peroxisome proliferator-activated receptor (PPAR)-gamma. PPAR- gamma blocks signals related to cirrhosis and also ensures that associated mRNA and protein levels are also kept in check. It also shelters damaged tissues from the overproduction of extracellular matrix (ECM) which is a common cause of inflammation. It also reverses liver degradation on an epigenetic level i.e. modification of genetic expression as opposed to the DNA make-up of the body. PPAR-gamma activity coupled with epigenetic regulation imparts curcumin with the ability to alter an individual’s genetics and prevent expression of cirrhosis causing genes. Fibrosis is a process of gradual thickening and scarring of tissues and is representative of damage at the site. It is often used to analyze the extent of deterioration of the liver during cirrhosis. PPAR-gamma present in curcumin has demonstrated positive effects against fibrosis as well. HSCs activation is known to induce fibrosis. The ability of PPAR-gamma to counter HSC expression comes in handy in this case. The various mechanisms through with PPAR-gamma acts against HSCs has been illustrated in numerous studies. One such experiment published in the Chinese Medical Journal highlights that the PPAR-gamma gene expression pathway helps block Hepatic Stellate Cells fibrotic signals and in turn, induces apoptosis (program cell death) of Hepatic Stellate Cells. Another study showed through an animal model, that PPAR-gamma was capable of obstructing the motility and vascularisation (formation of blood vessels) in Hepatic Stellate Cells. All these effects are seen in a dose-dependent manner. In addition to gene regulation, curcumin exerts anti-inflammatory and antioxidant effects against fibrotic cells thereby repairing damage caused to the cells. Through several in vivo and in vitro studies, it has been seen that PPAR-gamma present in curcumin can prevent fibrosis by negatively influencing HSCs. Therefore, restoring a good health status to effected liver tissue. In obesity linked models of cirrhosis, it is often seen that bad cholesterol or low-density lipoprotein (LDL) levels are directly proportional to the extent of liver damage. Hepatic stellate cells (HSCs) are also major influencers of hepatic fibrogenesis which are known to be activated by LDL. Kang Q et al studied the effects of curcumin on LDL and HSCs wherein he observed that administration of curcumin showed a marked reduction in cholesterol levels per cell. It also reduced the number of LDL receptors (LDLRs) which are responsible for activating Hepatic Stellate Cells. In addition, PPAR-gamma present in curcumin curbed the genetic signals involved in activation of Hepatic Stellate Cells overall preventing cirrhosis. LDL is one of the chief factors causing obesity related cirrhosis. Curcumin present in turmeric lowers cholesterol and also blocks genetic pathways of damaging Hepatic Stellate Cells. In diabetes-related models of cirrhosis, it has been determined that higher levels of blood glucose (hyperglycaemia) is one of the chief activators of Hepatic Stellate Cells leading to liver fibrogenesis. In a 2011 study published in the Journal of Molecular and Cellular Endocrinology, the ability of curcumin to block cellular glucose transfer was highlighted. Through regular measurement of cellular glucose levels and Hepatic Stellate Cells proliferation, it was seen that curcumin molecules were able to influence the level of certain proteins that affect glucose metabolism. PPAR-gamma activity mediated by curcumin was also successful in inhibiting Hepatic Stellate Cells proliferation. Along with glucose higher insulin levels characteristic of type 2 diabetes are also capable of activating Hepatic Stellate Cells. Curcumin has been experimentally proven to provide aid in such conditions as well. It attenuates oxidative stress conditions and blocks signals for insulin-induced Hepatic Stellate Cells activation. Curcumin has anti diabetic abilities whereby it lowers the high insulin and glucose levels linked with the disease. This in turn does not allow liver damaging HSCs to get activated. Leptin, also known as the satiety hormone, is an enzyme in control of regulating balance and controlling hunger in the human body. Elevated levels of leptin i.e. hyperleptinemia are closely related to obesity and in turn liver deterioration. Tang and colleagues attempted to understand whether curcumin could act against leptin-mediated stimulation of the harmful hepatic stellate cells and the mechanisms through which the compound could bring about such beneficial effects. They used patients who had non-alcohol influenced liver problems. Through this model, they were able to observe that curcumin ensured that leptin levels did not increase to a point where they promoted hepatic stellate cell activation. Curcumin also activated PPAR-gamma in order to combat HSC proliferation. 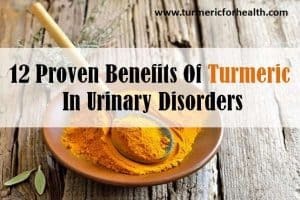 Tumeric usage could curb leptin levels and in turn protect the liver from deterioration and fibrogenesis caused by Hepatic Stellate Cell activation. Hepatitis is a viral infection that causes severe inflammation at the liver. Through its anti-inflammatory and gene silencing qualities, curcumin has the potential to be a novel drug in hepatitis induced liver cirrhosis. Hepatitis B virus while in the latter it suppresses another vital gene, Akt-SREBP-1’s activation. This disables the virus from growing or multiplying. Curcumin aids in hepatitis related liver problems as it halts the replication of viral cells. It also improves the inflammatory status at damaged sites. Alcoholic liver disease (ALD) is a global concern. It generally takes place when lipids build up in the liver cells due to overconsumption of alcohol causing overall cholesterol build up. Nanji AA et al. through an animal model examined that curcumin could reduce the harmful impacts of alcohol damaged liver. The mechanism through which the compound brings about these effects is a combination of silencing of critical cirrhosis regulatory genes such as NF-kappaB and anti-inflammatory action on affected cells. Another study brought to light that in addition to gene silencing and inflammation regulation, treatment of ethanol affected tissues with curcumin displays an enzyme level alteration. This means that through research it was proved that curcumin lowered enzyme markers of the disease. Lipid levels in cells were also reduced significantly. Curcumin also activates the antioxidant defenses within the body and efficiently eliminates toxic free radicals which build up as a result of Alcoholic Liver Disease. Through antioxidant, anti-inflammatory and enzyme regulating mechanisms turmeric lessens the harm caused to the liver by lipid build up from alcohol consumption. Non-Alcoholic Fatty liver disease is another common liver caused to deposition of excess lipids and fats in the hepatocytes (liver cells). In order to find a scientifically sound natural remedy for this problem, researchers decide to inspect the use of turmeric for the same. Recent studies such as that published in Phytotherapy Research state how the compound curcumin proved to have positive effects on NAFLD patients through a clinical trial. Curcumin was able to bring about beneficial changes in several important parameters like LDL levels, glucose concentrations and even reduction in fat. Similarly, another study based on a similar hypothesis showed that curcumin modified liver enzymatic reactions in such a manner that body mass index (height weight ratio used as a marker for obesity) and waist circumference of the subjects decreased. Turmeric administration can lower lipid and cholesterol levels along with BMI and other indicators of obesity. Therefore, it protects the liver from further damage. Among the many diseases, turmeric is known to heal, cancers of varying origins constitute a large number. Turmeric consumption affects the body on a cellular level and controls genes related to tumor formation. Several in vivo and in vitro studies have validated curcumin’s anti-tumor activity. In addition to its antioxidant and anti-inflammatory capabilities, this compound could be a blessing to the world of oncology. It was even proved that curcumin could regulate cancer mediating genes such as NFkappaB, beta-catenin, and cyclin D.
The use of turmeric strengthens the genetic defenses in the body and is therefore useful in the prevention and treatment of liver cancer. For healing liver cirrhosis it is recommended to consume the herb in the form of Turmeric milk or turmeric tea. Based on this, it is advised to discontinue turmeric use 2 weeks prior to any surgical procedure. Curcumin supplements should be avoided in pregnancy and lactation. Curcumin interferes with drug metabolism enzymes and hence curcumin supplements should not be taken concomitantly with any medication. 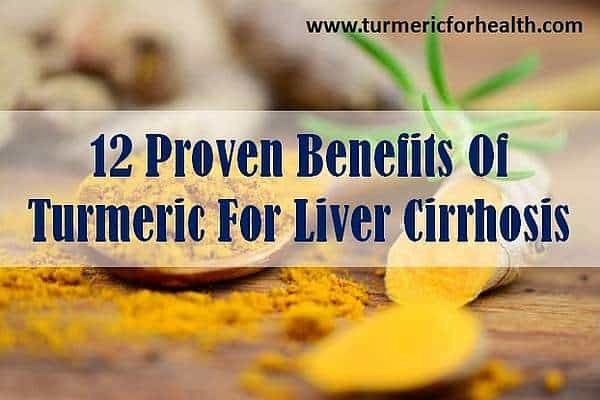 The benefits of Turmeric use in liver cirrhosis treatment are plenty. Turmeric is hepatoprotective in nature-it protects liver health. Its anti-inflammatory action can help prevent the activation of hepatic stellate cells and prevent liver cirrhosis. The antioxidant activity of curcumin can improve liver function. Turmeric’s anti-cancer activity can help prevent cirrhosis from progressing into liver cancer. Overall turmeric and curcumin are safe add-on therapeutic agents in liver cirrhosis. i chew solid raw turmeric after taking out the skin every morning. hope it is also same good for liver health. please reply. You emphasis should be on Curcumin. To have a REAL benefit Turmeric with its LOW % of curcumin will only spice up food. Hi. Dietary turmeric can actually help prevent liver disease. Turmeric has more than just curcumin which help in promoting health. When incorporated in food, dietary fat and food matrix help in appropriate absorption of curcumin and turmeric. Also taking turmeric powder as Golden Paste helps in treatment of many disorders and this has been confirmed by readers. 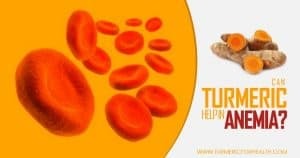 However we do acknowledge that certain health conditions do require curcumin supplements which one can take after consulting a herbalist or any other healthcare provider. I am a Hep C patient with cirrhosis 70% impaired liver. It turned acute last year Dec when my stomach was bloated and my legs swollen. I was hospitalized. There are many genotypes of Hep C Virus (HCV). One has to do blood test to find out. There are drugs that could cure HCV. Drugs varied according to genotypes. However they will cost you a bomb. It is very expensive in the USA. But generic drugs which are cheaper by a few times are as effective. You can source them out in Bangladesh. Please take note: It is important to first get rid of the source of liver problem which is the HCV, then only you start off with supplements. After six months of medication, I was HCV-free. From then on I started on my supplements. I take VitaHealth products from Australia which by far I found them the best among others. They are available at pharmacies in many countries. I take Turmeric, Broccoli Extract and Milk Thistles. At the same time I am still taking drugs which helped be to urinate as much fluid as possible. I go for lots of sunshine and consuming Vitamin D3. Everyday I played Taichi Qigong. I sleep before 11.00 pm. This is my personal view and there is no intention to discredit expert views. Anyone out there ever try Temple Turmeric (Mineral Greens) elixir? For liver cirrhosis & kidney issues I take a multi, a B1, folic acid, xifaxan, and diuretics. Just recently added milk thistle and a probiotic. Labs have been moving in the right direction but several markers are still out of whack. I saw this elixir in Whole Foods so I thought I would try it because it sounded like a healthy drink to have between meals but it was only once I started researching what was in it did I find out that turmeric is very good for your liver. I too have one of the GI docs who is not impressed with supplements and advises against it but I have always preferred that path to big pharma. Tired of being told my numbers may never be normal and dealing with his comments that he can’t rule out a transplant at this point. Any other tips or supplement recommendations is appreciated. Hi, I am new , just diagnosed with hep c and have some liver damage, haven’t started treatment yet but have been taking turmeric for a couple weeks now, can someone enlighten me on the milk thistle and nac ? I think that was it, any advice will help, would like to go the natural way, all that I can. You can do a lot of research on the web (as I did….MONTHS of research, in fact), but the short answer is this: My husband was diagnosed with Hep C, Cirrhosis and end stage liver disease in March of 2014. His MELD scores were such that he was referred out for a liver transplant. After making some dietary changes, I included Turmeric/curcumin, ALA, NAC, Milk Thistle (WITH dandelion root), and a couple of other supplements. His MELD score is now within normal limits and he no longer qualifies for a liver transplant. Hope this helps. Please be aware this comment/reply is not intended to provide medical advice. You should seek the advice of your health care provider. What amounts of each did you use? My husband also has cirrhosis and hep c.He just finished his 3rd round of meds hoping to get rid of the hep, but I want to hopefully reverse as much of the liver damage as I can. Any suggestions you can give will be appreciated! I will reinforce Cathy and her statements. I was diagnosed with PSC last September, had a growth in my bile ducts that was precancerous, I was on the liver transplant list since march. I have taken a turmeric supplement for the last year and as of august 4th the growth is gone and all biopsies are negative for cancer. I also removed almost all fat from my diet and walked (a lot) but the anti-inflammatory properties of turmeric are certainly helping to control the damage and I was told yesterday I am no longer eligible for transplant at this time (too healthy). Sue, you said YES? Yes to which reply? I have stage 4 liver fibrosis and it seems as if you have found the right combo. Could you please give us your combination and daily amounts please? It’s very important. My docs told me to take a multi vitamin, that’s it. As if I were a nuisance for even asking. Please help. Thank you. (2) Aaron, if you get that information from Sue, would you please share it? Sam, I like your comments & Yay! for beating the odds by being Proactive!! I beat having to have a heart/lung transplant by using both pharma & Alternative drugs….now I am in 4th stage Cirrhosis and now have elevated alpha-fetoprotein levels, as well as alkaline phosphatase. I am taking Milk Thistle & Tumeric but unsure of what amount I should take. Can you be specific about your doses of all alternative drugs you took to beat this awful disease. Non-Alcoholic Steatohepatitis (NASH) is my diagnosis, which I believe was due to prescription Pharma drugs. UCSD has tested an anti-psoriatic drug in rats that reversed cirrhosis, but the FDA has not approved it for cirrhosis & therefore I cannot try it. Any help you can offer is appreciated, and I might add when someone does there homework & is proactive in their own treatment beyond total dependence on just what their docs say, good outcomes such as yours happens!! I get my liver supplement and NAC from Dr. Sandra Cabot (liver doctor.com). I have cirrhosis. 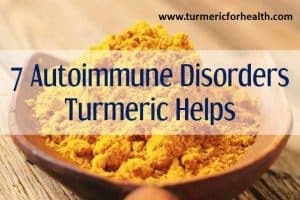 I am going to add turmeric to my diet before I have my biopsy in Feb.
Hi, could you be more specific about the diabetes problems ad gallbladder problems? I’ve read that “The published Journal of Nutritional Biochemistry confirmed that Turmeric could benefit diabetes”, and also that in 2007 was published in “European Journal of Pharmacology” a study about beneficial effects of turmeric on diabetes…. Hi Steve, thanks for sharing your experience here. Yes you should include black pepper in your diet to ensure the turmeric is absorbed nicely in your body. I do use black ppr in my recipes. How much ppr should I incorporate daily to help with digestion of the turmeric? No dosage as such. I keep grinded black pepper with me and just sprinkle it a bit over salads and sometime add over golden milk (may be difficult for some to take). Again including as part of recipes is a much better option than taking it just once a day. You can also purchase Turmeric/curcumin with Bioperene, if you cannot tolerate black pepper. The bioperene has the same compound as black pepper. Hi Steve, I have been diagnosed with cirrhosis. I have done much research on the liver and the one thing that has definitely improved the enzyme levels is milk thistle. I have been taking it for a yr now and the liver enzymes are normal. I wanted to incorporate the turmeric after knowing the results of the first supplement. I have heard that turmeric would be another supplement to add to my regimen. I am having trouble locating info on the correct dose to start with. I would prefer to be gradual with anything I introduce to my body, as you can understand. If you can please advise. Bella, try with adding it in your regular recipes (it adds amazing flavor and color) and take as golden milk (turmeric milk). You can find how to make it in recipes section. This will help in long term. It also ensures there is no overdoes which may have certain side effects in long term. Hope this helps. Thanks K. If this turmeric tastes anything like curry, I will not use it in food. I despise the taste of curry and do not eat anything like it. How much of the turmeric caps do you think I should ingest daily. Not at all, it has a very very mild flavor but strong color. If you love rice just try Lemon rice recipe mentioned in recipe section. Of course please add whatever you like with rice too. In case of supplements, the usual dose of standardized dried powder is 400-600mg thrice daily. But I would recommend you start small. Google acetyl-L-carnetie and alpha lipoic acid for cirrhosis of the liver. These two vitamins have tremendously helped my mom and kept her out the hospital due to her liver I believe these two herbs along with milk thistle saved her life. We use LiverSmart (available on Amazon). Excellent results!